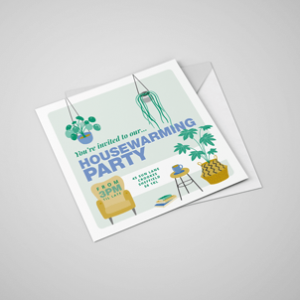 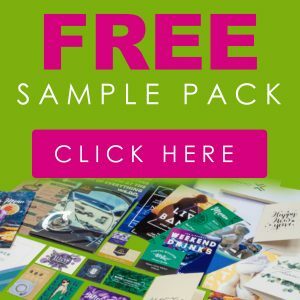 Whether you’re sending your custom wedding invitations to excited guests or celebrating your business anniversary with a cocktail party, these A5, DL, or A6 printed invitations will be memorable in the hands of your recipients. 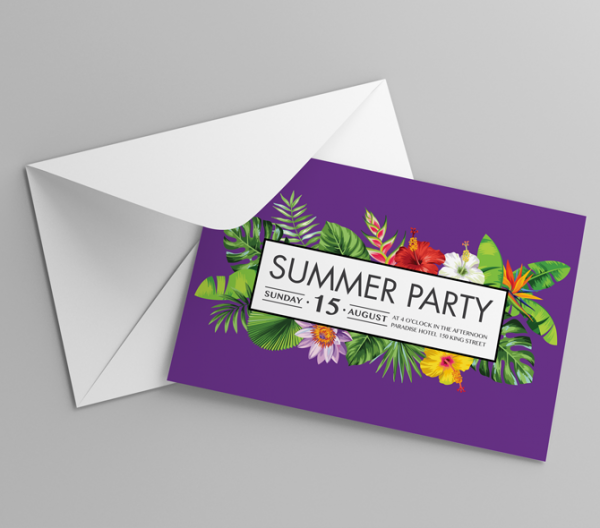 Choose from three stunning paper options to make your custom invitations suit your style. 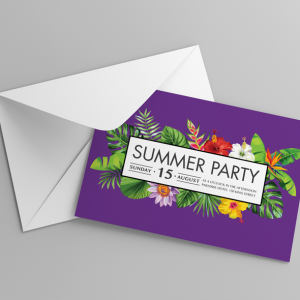 You can select the luxurious cream Conqueror Wove in 350gsm, the classic Silk stock in 350gsm, or a super-glam 300gsm Ice Gold invitation for a stunning metallic finish. 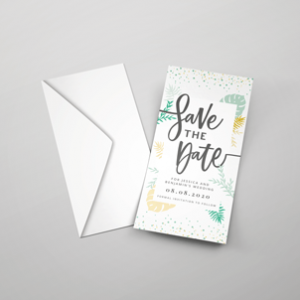 Don’t forget: envelopes are included as standard with all invitations!